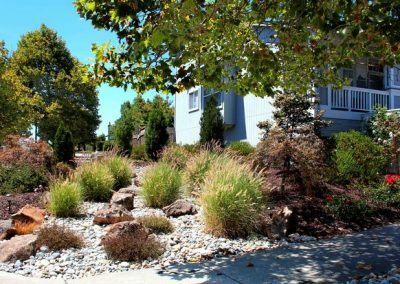 During our current Northern California Drought and these Dog Days of Summer…we get lots of calls from people who want to eliminate their brown lawns. 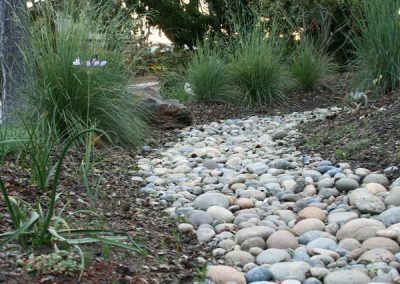 Essentially they want to figure out a way to conserve water, lower their water costs yet still retain an attractive landscape. 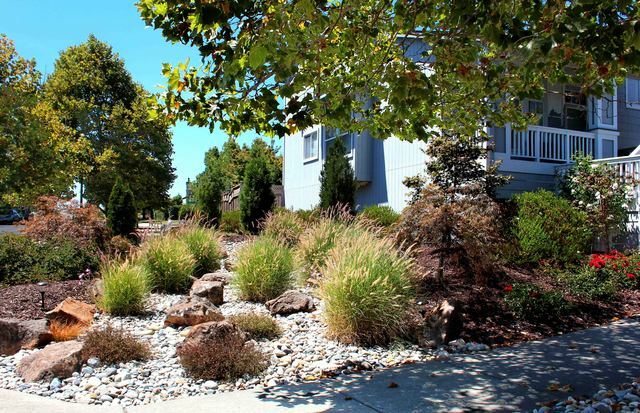 So what do you do with such a large space as a typical front lawn? 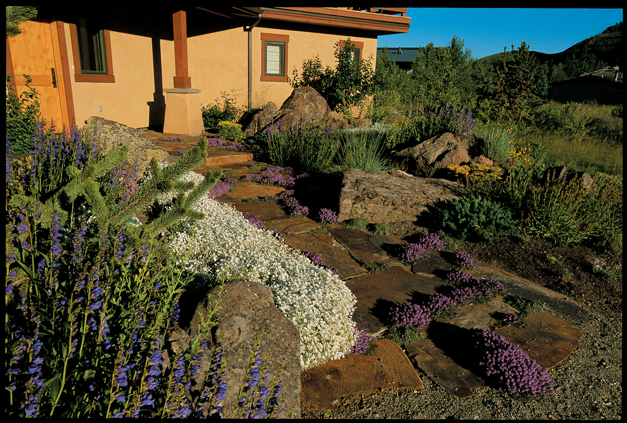 A lush green lawn can take up to 70 % of your front yard landscaping! 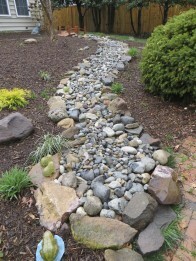 What do you do let the lawn die and cover it with a sea of colored rock or cheap wood mulch? 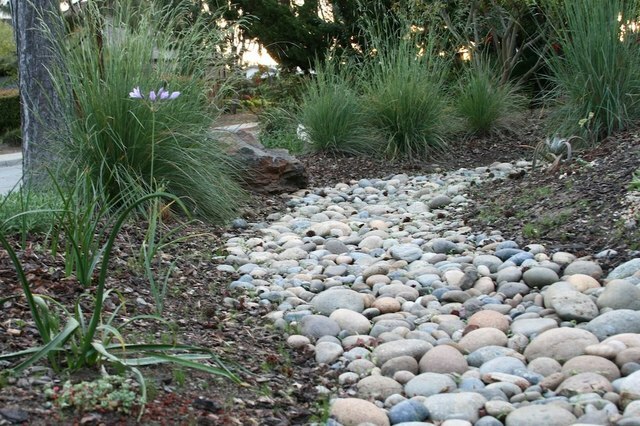 Well no, not if you have any style or design sense and pride in your property. 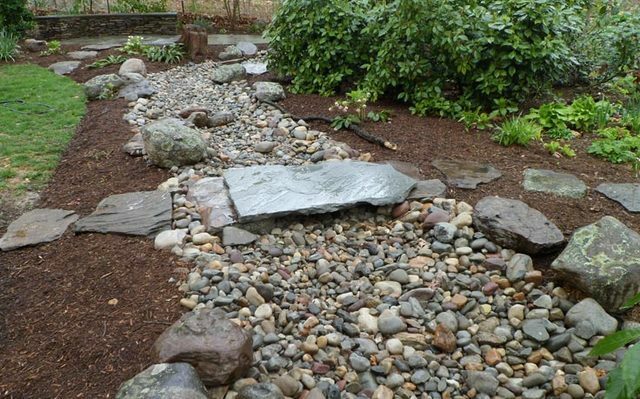 The design concept is to replicate nature as closely as possible and make it appear the creek bed and surrounding plantings were always there and the house came later. 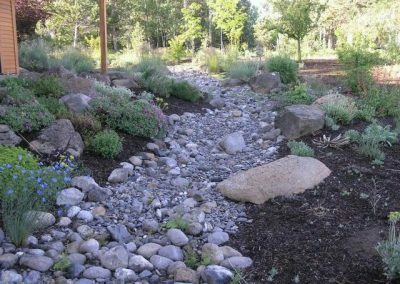 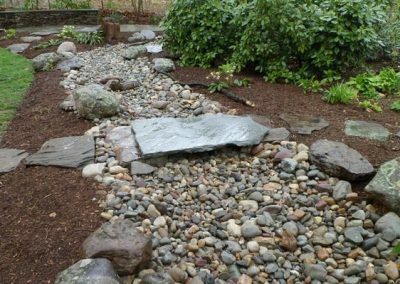 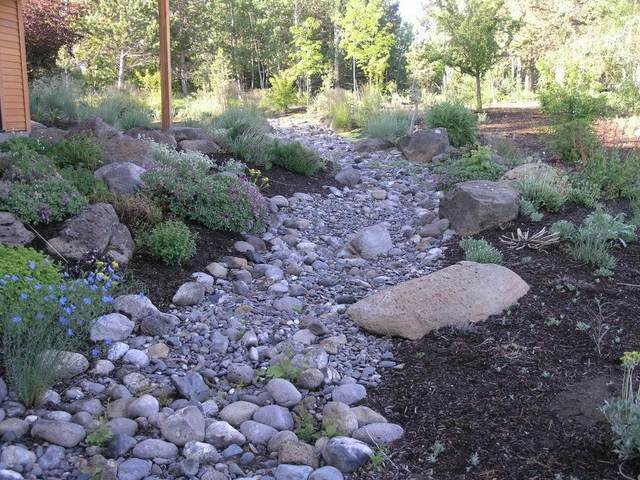 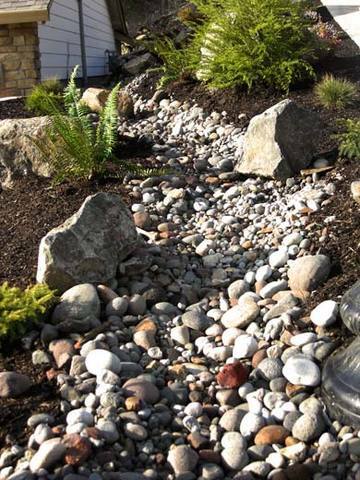 Here are some nice examples of creating dry creek beds as a focal point with accent plantings around the sides and throughout the creek bed design. Click on a picture to view all images.